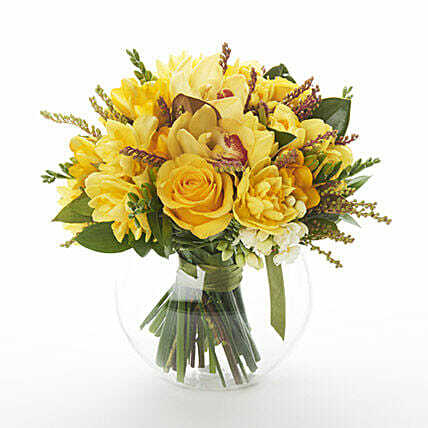 If you want to bring a wonderful smile on the face of your dear ones, order this online bouquet consisting of seasonal Gold, Cream and Lemon blooms. It further arrives in a glass bubble vase along with a special gift bag that is sure to cast its magic on its audience. Go for this fantastic flower collection and surprise your special ones like never before.